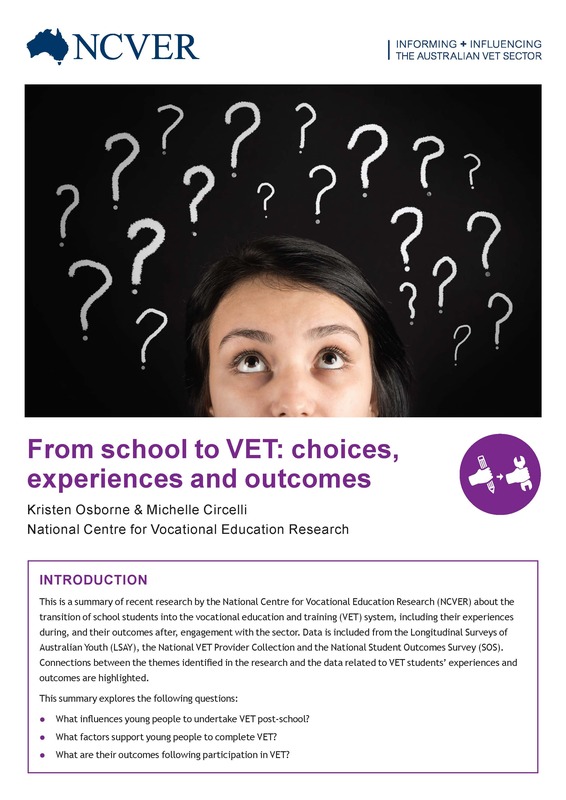 This publication brings together recent research commissioned or undertaken by NCVER in the transition of school students into VET, their experiences and their outcomes. It explores what influences young people to undertake VET post-school, the factors that support them to complete VET and their outcomes following participation in VET. Findings such as the importance of exposing students to VET-related experiences while they are at school and offering appropriate academic and social support while they are undertaking VET study are discussed.